The TS400 remote display enables alarm text to be displayed that can be read easily from long distances. The areas of application include, for example, production facilities, warehouse halls or even outdoor areas. Only alarms that have not yet been acknowledged are displayed on the TS400 remote display unit. If there are multiple alarms to be displayed, they are displayed intermittently. The data and time are displayed under steady state conditions. The short text from the SIG is used for the display. 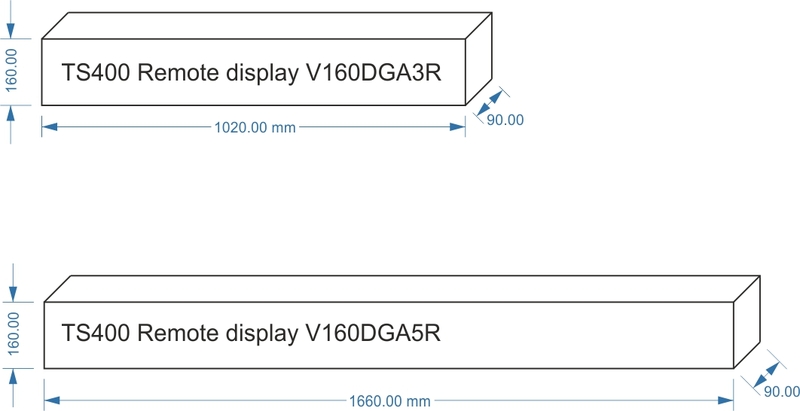 If the text entered is too long to be displayed with 100 mm character height, the character height is automatically reduced to 80 mm. If the text is still too long to be displayed, it shall be truncated. 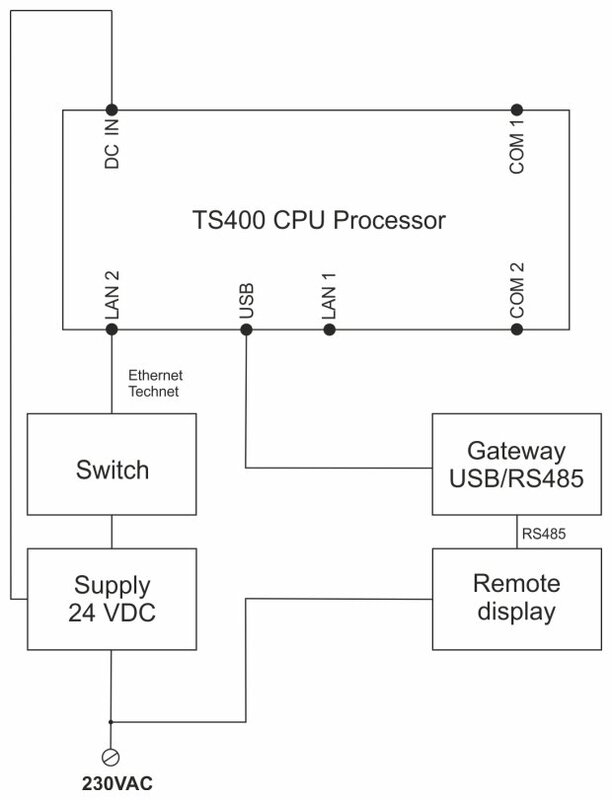 The TS400 remote displays are connected with an RS-485 data line to the gateway of the TS400 CPU processor module. 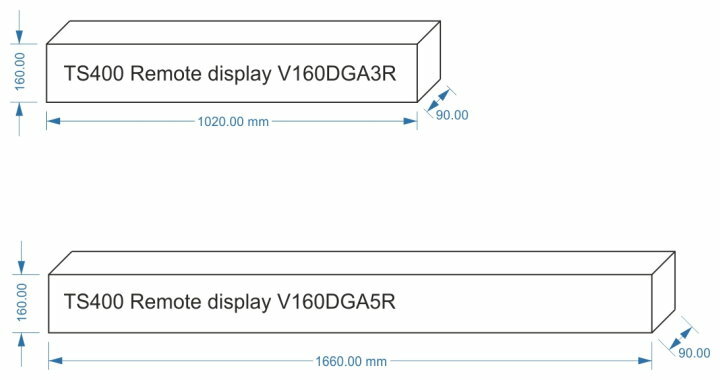 The power supply for the remote display unit is 110-240 V AC. 3. Type of the node for this application: "DISPLAY"
The remaining configuration is set in a manner identical to that for the control of the other terminals, and you can choose the TS400 remote display on which the alarm text needs to be output for each SIG.